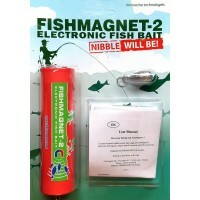 "FishMagnet-2 Electronic Ice fishing rod for winter fishing" is used to catch fish at winter fishing. 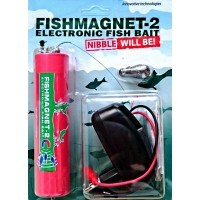 You can use it is not only manually but also automatically, and use it as an bite indicator. 1.1. Please read carefully all the information contained in this manual regarding your safety, as well as recommendations on proper use and maintenance of FishMagnet-2 electronic ice fishing rod. 1.2. Do not expose the device to any heavy shocks and abrupt change in temperature. 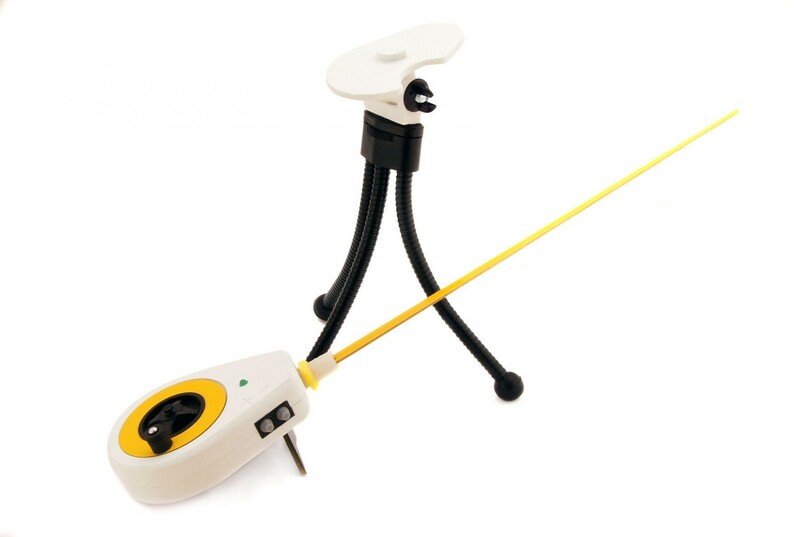 Operation of FishMagnet-2 electronic ice fishing rod does not require any special training. Electronic ice fishing rod FishMagnet-2" simplifies and expands the opportunities of winter fishing. 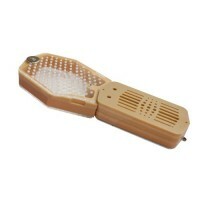 You can use it is not only manually but also automatically, and use it as a bite indicator. For switch on this device, you have to press two buttons ( "+" and "-" ) at the same time and hold about two seconds. The device has three control buttons. With their help, you can select one of eight modes. Short pressing the button P – inclusion/switching off of the electronic scheme of a rod. Long pressing – the choice of one of eight operating modes. For transition to the chosen mode, it is necessary to press the button P and not to release it, to count a quantity of light-sound signals. 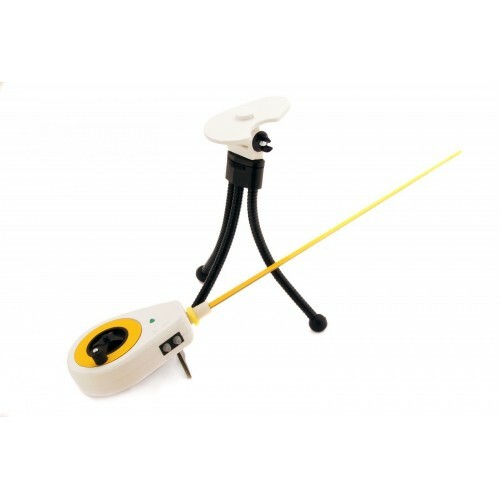 The first signal – inclusion, then signals to which there correspond rod operating modes will get over. Two buttons from the opposite side of the case are intended for change of parameters depending on the chosen mode. If you selected the mode of constant oscillations (the 1st regime signal), then the "+" or "-" buttons it is possible to change frequency from 1 oscillations in 4 seconds prior to 20 oscillations a second. A bite indicator doesn't work in this mode. In the mode of constant rest (the 2nd regime signal) vibration is absent. In this mode it is possible to catch, having included the built-in light-sound bite indicator, the "+" or "-" buttons having selected one of four levels of sensitivity. The fifth clicking by the + button in this mode it is possible to disconnect a signaling device, then clicking of the - button the signaling device will join, and in case of the fifth signal the maximum sensitivity will join. 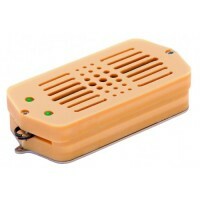 In case of a bite the sound signal will be distributed and the LED will start blinking. In this mode it is possible to set or disable automatic switching off of a signaling device when bite. For this purpose it is necessary to press the button P and to wait for the last signal. Having selected the mode of variable oscillations (the 3rd regime signal), it is possible to change duration of the period of oscillations and duration of a dormant period. 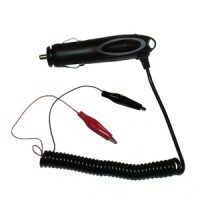 For this purpose, when the rod fluctuates, clicking of the "+" or "-" buttons time of the period of oscillations changes. Similarly, when the rod stopped (is at rest), clicking these buttons, dormant period time changes. Frequency of oscillations is set in the mode of constant vibration. The light-sound bite indicator with that level of sensitivity which was set earlier works in this mode in a status of a dormant period (in the second mode). 4, 5, 6, 7 and 8 modes (respectively 4, 5, 6, 7, 8 regime signal) are operation modes of a rod according to programs. In these modes frequency change of oscillations and time of a stop is carried out according to programs which are installed the manufacturer and are, as practice showed, the most efficient. Use of the last achievements of microelectronics has allowed to ensure functioning of a rod on a frost to 40C, more than 800 hours without change and recharge of batteries (for the average fisherman of 5 years of active winter fishing). 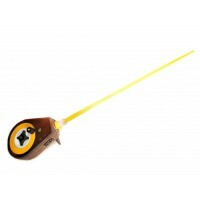 The design of a rod allows to make replacement of batteries. 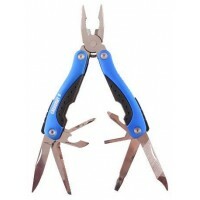 For replacement of batteries it is necessary to unscrew four screws which hold the lower part of the case of a rod. Then to unscrew six screws on the lower cover of the top part of the case. 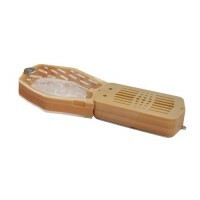 In a rod the energy saving scheme which turn off of the device in two hours, after the last pressing any button is used. Therefore, after long storage for turn off of electronic blocking, it is necessary to press two the "+" and "-" buttons at the same time. 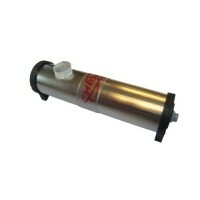 In case of the replacement of batteries is not allowed the violation of the polarity of the batteries. 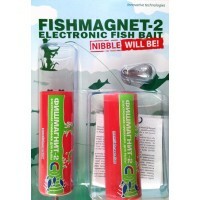 Casing of the Electronic rod "Fishmagnet-2" is moisture proof. 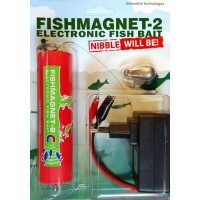 This device is shipped from a warehouse of FISHMAGNET in Russia by Russian post, EMS Russian post or DHL express.